A full-suite of low-cost startup discovery and analysis tools, will be offered from Funderbeam, an Estonian startup company. 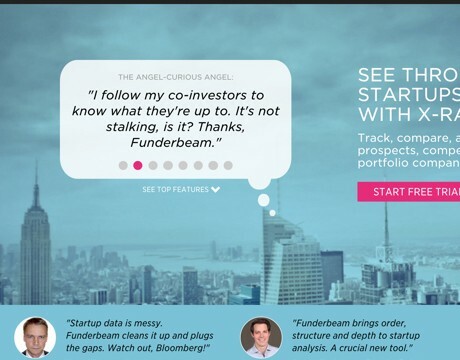 Funderbeam plans to launch a 39 – 99 euros per month subscriptions that will serve respectively angel investors, prospecting consultants and startups. The company already has 70.000 startups and 600.000 mapped competitors in its database. Funderbeam’s executives believe that their data will help people discover and track startups that “fit” their interests, supported by estimates, analysis and benchmarking of various performance data.